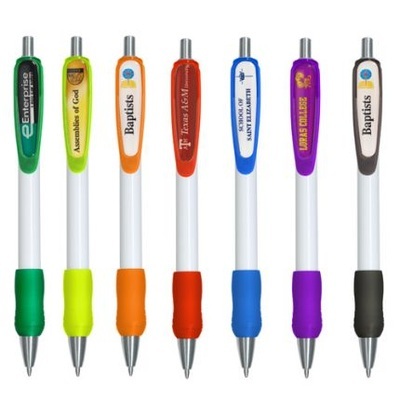 We could have led off this page with a feature on any of the 500 thousand or so click pens that we offer. 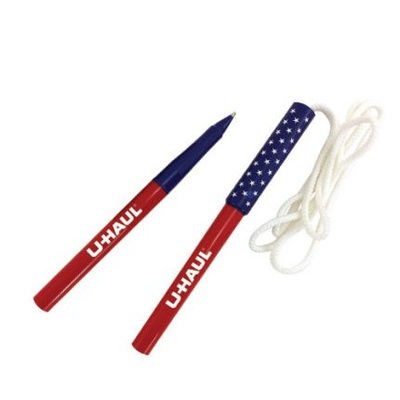 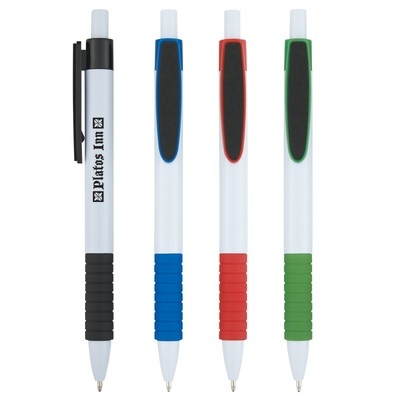 Out of the hundreds of thousands of those click writing instruments, many of them have a rubber grip on the barrel to make writing more enjoyable for long periods of time. 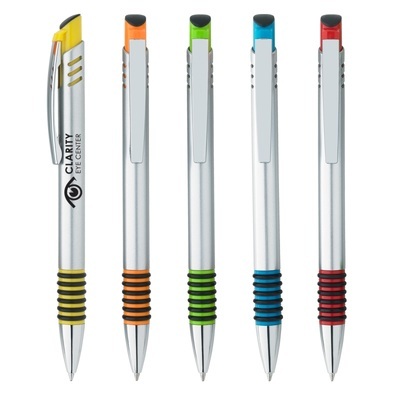 Out of THOSE, let's say, hundred thousand, a very small number of the click pens have grips that match the barrel. 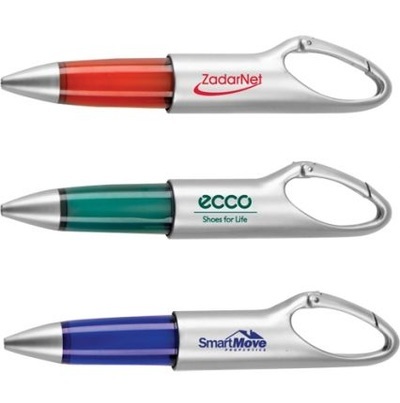 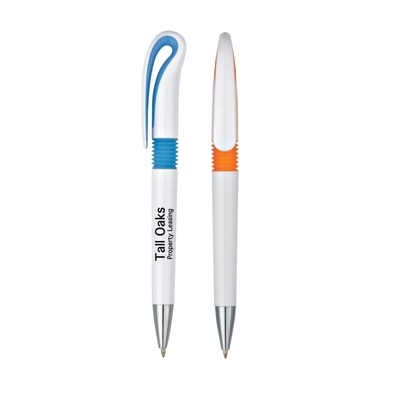 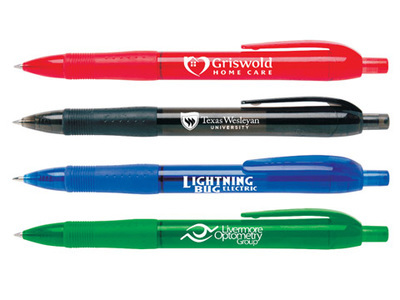 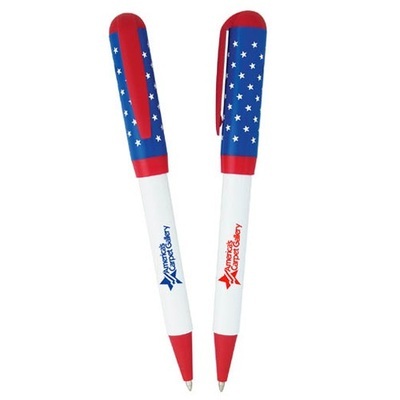 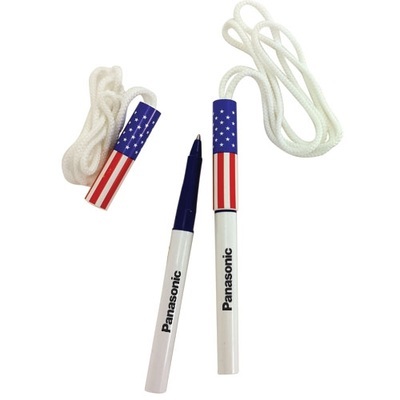 It's not the most glamorous claim to fame for a promotional click pen, but it is important for Ad Specialty Products to offer the perfect pen for every client's marketing project. 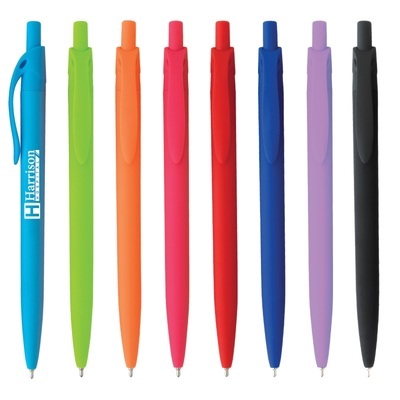 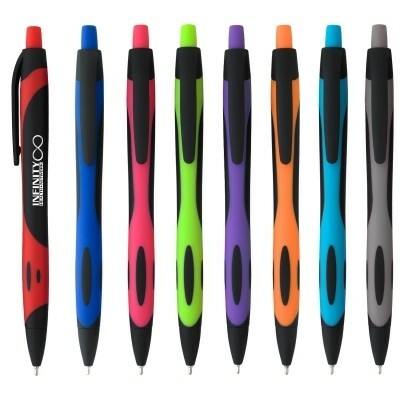 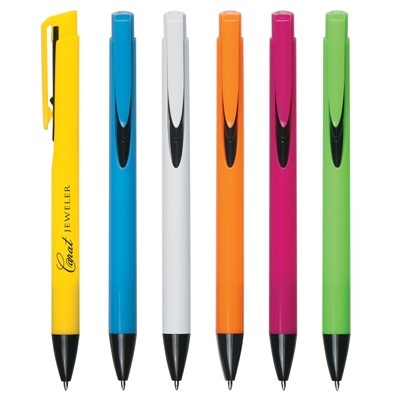 The first pen on this page, the Olindy, also features super smooth writing ink and classic colors that are very popular with corporate clients.